During the heat-wave over Europe this past summer, I realized that the little grey cells of our brains seem to suffocate and become slow and lazy in such conditions. It is simply hard to think seriously about something or design something new. Well, strictly speaking, I can only speak for myself, but one of the most obvious cognitive biases is that we all think everybody is like me. Now that the weather is cooling down, I have gone back to some of the reflections on leadership and management that really puzzle me. Why is it that we, who are in the front-line of creating solutions and servicing our customers and beneficiaries, want to work the Agile and Lean way, and our top management want the organization to be agile and lean. But those in the middle keep disappearing, stalling or disengaging? One discussion partner actually referred to the layers of middle management as “the permafrost”, he gave up and left. Having experienced this a number of times myself in real organizations as well, I began to look for some cross-cutting answer to this resistance from the traditional hierarchy in organizations. I have spoken to many different people and each and everyone of them has added a piece to the puzzle. But whereas I thought there would be a fairly straightforward answer that could be expressed in a few sentences, I discovered that there are multitudes of little observations and inclinations that come into play in different combinations in different people; once again we are back in the complex domain. I consequently set out to try and collect a list of the most important reasons and also some hints at what can be done to resolve the deadlock that many organizations apparently are in. This article is only an appetizer, I will try to deal with the individual reasons separately in later articles. I don’t want to be going over the same territory as in the original article about the pervasiveness of Neo Taylorism (read it here…). The focus here is on the resistance to Agile Lean Practices in the classic hierarchy. First let us state the issue by looking at the following drawing. We are trying to persuade people and organizations to move across the green line to a more effective solution for complex work. To the left we have the classic org chart, with the executive, the CEO at the top, some layers of managers and experts and some grey matter at the bottom, that does the real work. The system was originally conceived to ensure compliance, obedience, stability and predictability. In itself not bad or evil, but clearly not suited for periods of accelerated change or maneuver warfare. The purpose was and is the opposite. Commands and resources ripple down, performance is monitored, control is applied and deliverables and reports bubble up. Especially in our Scandinavian countries with low power distance (See Hofstede here…), the hierarchy is not normally brute force, but clothed in more modern, softer psychological clothes, such as in New Public Management. But the principles remain the same, just a different user-interface. To the right we have the proposed Agile Lean Leadership model of cooperating self-organizing Circles with teams. The system models individual small operations held together by common values and goals. The key principle is organizing after the value stream keeping the eye on those we serve. There are of course decisions that are taken above the individual Circle level, we are not utopian here. But they are typically resolutions, delegations and investments decided upon by appropriate level 2 circles consisting of representatives from the primary circles. We call that the “New Structure”. There is of course a lot more detail to a complete organization, and we deal with that in the training program and our upcoming book: “Navigating the rapids”. While the blue guy and the grey ones on the left might be convinced that moving across the dotted line is a good idea, the yellow ones – those in the middle – don’t seem to buy into it easily. Very often people will say, “yes of course, these guys stand to lose in such a change, because the hierarchy is flatter, there are no middle managers”. Often it is implied that the mere fact that we are not talking “up and down” is a loss of something. There seem to exist almost a dogma that says: what matters is how many you can yell “jump” at who actually have to “jump”. That the position in the hierarchy is the basis of a person’s self esteem. What is true is that the yellow people will probably experience the greater change in their work, and certain class of work – the work of the administrator, will shrink. I would argue the case that that is a good thing also for the men in yellow, but then I don’t claim to be objective on that matter. Most of the causes mentioned below are not independent, they are highly correlated, and need to be viewed all together. The model of the hierarchy is a world-view, a paradigm. People cannot imagine that there can be anything else. They have never seen such a non-hierarchical organization, so clearly they will distrust it. However, I believe they have seen it. In society most people have given up on organizing according to Marx and Lenin with everything centrally planned. In private life we know that life cannot be centrally planned for very long. Somehow people still believe this is the only way in organizations. Separation of thinking and doing. This is a serious one, it carries with it all the ineffectiveness, inadaptability, non-resilience and dehumanizing traits of assembly line production. It often also carries with it the conviction that thinking and planning is for an upper class of people and doing for the lower, it can give rise to a new sensation of superiority or aristocracy. As a corollary of the point above, it breeds competitiveness for position in the hierarchy. Another corollary is, that it is generally considered to be better to be a manager than being a doer, and considerable extrinsic motivation pushes in that direction. The superior then becomes the customer, not the real customer. Because the superior is the one that controls the key motivator: moving up in the hierarchy. The traditional hierarchy is built on control, you must appear to be in control and predictable to protect your position. This is drilled into managers. Therefore any proposed system or structure that seems to display less (albeit often imagined) control is threatening. Decision makers don’t like decision analysis because it is based on that idea that decision making is a choice between gambles. I think decision makers, in business and elsewhere, just reject the metaphor altogether. Managers think of themselves as captains of a ship on a stormy sea. Risk for them is danger, but they are fighting it, very controlled. The idea that you are gambling is an admission that at a certain point you have lost control, and you have no control beyond a certain point. This is abhorrent to decision managers; they reject that. And that’s why they reject decision analysis. If there is fear in an organization, the numbers will be cooked! A hierarchy will much more often say no to initiatives than yes. By saying no, nothing happens and life goes on. By saying yes, you run the risk of something, not delivering the desired and planned results and you being blamed. So approving an initiative is a game with very little opportunity for winning and a lot of opportunity for losing. The solution to this is that top management must communicate a willingness to accept experiments with occasional undesirable results as a good thing that brings knowledge – sensible experiments of course, not any half-witted shot in the dark. I believe much of this resistance revolves around the fact that managers in the Hierarchy feel that they will be less respected, fulfilled or appreciated in the new structure. Power over other people is unfortunately attractive, it is not something to be proud of, because it only thrives on other people’s fear. But having power over other people is attractive because it bolsters our self esteem and gives us something to show off in the competitive culture of many organizations. In the new structure there is less ”power over” people, but more “power to” get things done and to influence people through skills, character and passion. Being a manager can be a bit like being a member of the aristocracy of old. You are somewhat above the work and in some cultures it is actually a sign of high position that you don’t work, something that commands respect. It is a class-based thinking that is not very nice to admit to, but we all do it in some circumstances; we lift our opinion of ourselves by defining us as different from these other people. Aristocracies always create closed circles to protect privileges and later on preserve the bloodline. The managerial position with its air of superiority seems to be a privilege that has to be sacrificed if the New Structure is implemented. If you belong to a closely knitted group, a lot of your self understanding hinges on you position in this group. It takes a lot of courage to challenge the core beliefs of one’s core social group and potentially end up in bad standing. It is therefore connected with considerable risk for a manager to contemplate alternative beliefs about the nature of management or leadership. The traditional hierarchy normally carries with it hefty increases in compensation and other perks as one moves up. As we know from the discussions about intrinsic motivation (see Anders Dysvik, New Scientist 9th April 2011 pp 40-43), application of extrinsic motivation overrules the intrinsic ones. So if you have a motivated person and make him a manager and set him on a hierarchical career path (“You either move up or you move out!”, like in the US Army), then by definition you have disabled or at least subdued his intrinsic motivation. We know that people don’t want to give such privileges up. It is not that managers are bad people, we would all be like that in such situations. And if the hierarchy offers you that, it is much easier to decide to stick with it. There may be a spot of greed driving people to want to stay with the hierarchy as a path to the coveted spending power. But the real serious greed is normally found at the very top, and that is another discussion. Daniel Kahneman writes about how we simply do not absorb facts that threaten our existing worldview or belief system. He writes about a company in the financial sector, where he showed that their highly elaborate scheme of bonuses were not based on skill but on pure luck. The illusion of skill is not only an individual aberration; it is deeply ingrained in their culture. Facts that challenge such basic assumptions – and thereby threaten people’s livelihood and self-esteem – are simply not absorbed. The mind does not digest them. If these are the facts, I deny the facts! I am convinced that the message that Thaler and I delivered to both the executives and the portfolio managers was instantly put away in a dark corner of memory where it would cause no damage. Our brain has the capability of just dismissing observations and fact that don’t corroborate currently held views. Confirmation bias, which is the tendency to look for, favor, and find information in a way that confirms what you already believe. Conservatism, which is the tendency to revise one’s belief insufficiently when presented with new evidence. Zero-risk bias, which is the preference for reducing a small risk to zero over a greater reduction in a larger risk. WYSIATI is an abbreviation for “What you see is all there is”. 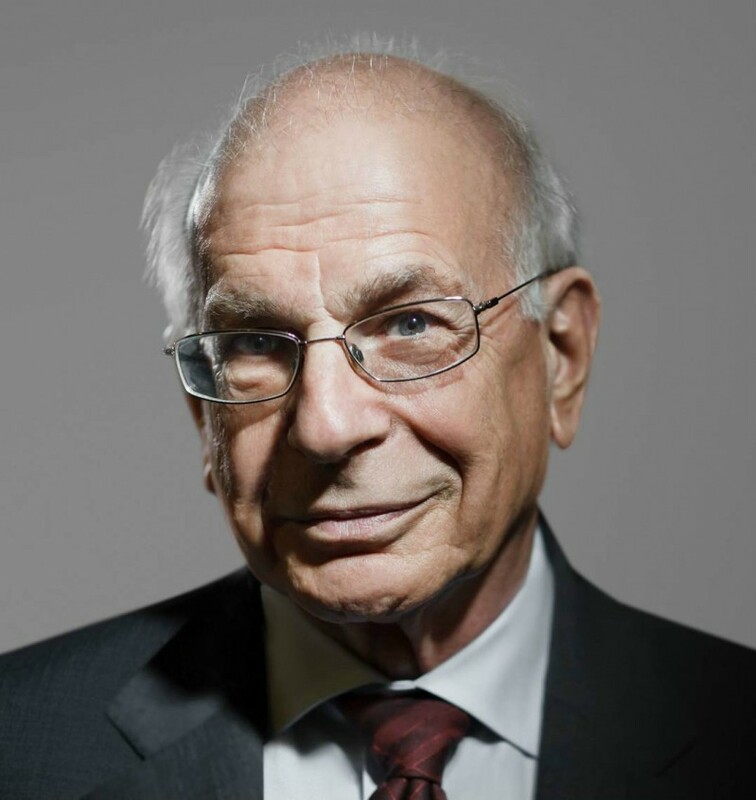 It is one of the human biases that Kahneman elaborates on. We believe we have seen it all, and we have built a compelling story around it. Dave Snowden talks about how we tend to view things as being in the “Obvious” domain, especially when we know little about them. We know that people can maintain an unshakeable faith in any proposition, however absurd, when they are sustained by a community of like-minded believers. The New Structure relies on trust. Not so in the hierarchy, it relies on control. More than once have I had someone above me say “Trust is good, but control is better!”. If you haven’t trusted people for years then It seems too much to have to trust people, very risky. The classic hierarchy sets you up for a zero-sum game where if there are winners there must be losers, you compete, fight for “lebensraum”. Often people react against the New Structure, simply because it appears less professional and serious than the hierarchical alternative. They experience the proposition to be too romantic and utopian, something from the seventies, like a surviving hippie subculture. A lot of managerial positions are very comfortable. OK you have to put up with the occasional budget or abuse from above when a number falls out of range, but that passes and life settles down again. You get used to it, and as Matthew Stewart says about the new aristocracy in the US, the top 9.9% of income spectrum, “It is good to be us!” (read more here…). As long as life is reasonably good, there is more to lose than to win. Why risk that with a New Structure? Why invite trouble inside? In the end people choose what they want most in their heart, what really makes their life worth living. Although working in an organization hopefully is not all there is to life, it normally takes up about half of the time we are awake, so it does play a role. For an Agile Lean Leadership transition to succeed, people who are onboard, have to want and desire this. Therefore, top management which holds the flag and the vision, must be very present and visible. It must be shown to people – also those in the hierarchy – that a life of intrinsic motivation with focus on purpose, autonomy (freedom) and mastery for everybody is a better option than the Neo-Taylorist separation of thinking and doing which creates a new aristocracy. It must be shown convincingly that working in teams and collaborating across Circles in a value stream can be very fulfilling also professionally. It must be shown that adopting a servant leadership style, where those that make decisions of a broader scope than at the Circle or Team level, do it as a service to the primary circles, not as a privilege. Managers have to choose to become leaders, leadership is a service not a privilege. The top management must change the compensation schemes and ways people are appreciated publicly, so that it becomes visible that the roles in the new structure are valued and appreciated. The system must be changed also in this area. It does not happen all at once. There is no instant pudding! For people to participate in a journey, they must see the attractiveness of the end state and also be willing to endure the travel. It is up to the leadership to create that attractiveness. If you create the New Structure – an Agile Lean Organization, there will be people who don’t like it. It is an adoption of a different set of presuppositions. What if people don’t want this? What if there is no desire or passion for it? Maybe people are too comfortable for change? 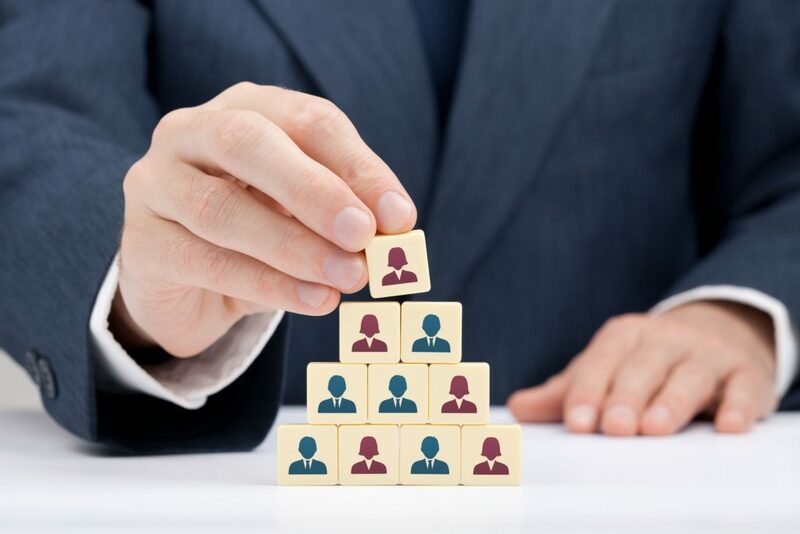 The people in the classic hierarchy, often referred to as middle managers, have several good reasons to avoid the change. The hierarchy has an inbuilt tendency to reward stability and predictability at the expense of innovation and experiment. This represents an extrinsic motivation of position, respect and compensation as you move up the steps, and as we know such extrinsic motivation overrides the intrinsic one. It is therefore perfectly understandable that these people prefer to stay in the hierarchy and not something to be scornful about. It is up to top management to build the case for the New Structure as an attractive alternative; but it is also up to everybody else to be a bit humble about the change and demonstrate respect for people who exchange classic managerial positions with the roles in the New Structure and not lead them to feel demoted. If you look at the people who set out to conquer the West in the US (forgetting for a moment the problem of the native Indians). It was not the people from back East who had the most comfortable lives, who set out on this journey, nor was it those who had significant positions to lose. These folks came later when there was something to exploit. So, often it takes a stimuli from the outside to ignite a transformation; a challenge that just cannot be ignored. We have in other articles mentioned General Stanley McChrystal and Commander David Marquet; for both of them the trigger was a realization of the fact that the status quo was not tenable any longer. People who have much administrative work will typically experience a significant change in their daily lives as there simply is much less of that kind of work in an Agile Lean Leadership organization. Very often I have found that people really like to be more focused on skills that contributes to the value stream. Administration is waste, some of it necessary waste, but usually a lot of it just serves as fuel for the hierarchy. There is one class of people though who are deers in the headlight in such a transformation. Those whose only skills are bureaucratic. That is, they only know to relay orders down and reports up. They seriously need to be retrained or old skills need to be resurrected. There is precious little use for the bureaucratic skill in an Agile Lean Leadership organization. At the end the proposition is to create an organization that is effective, fast, sustainable and resilient. It is there for those who want it.